Emraan Hashmi's film will hit the screens on January 25, 2019. Actor Emraan Hashmi has concluded shooting for the final schedule of his upcoming film Cheat India, based on education scams in India. The 39-year-old actor thanked the team of Cheat India and shared posts on social media, announcing the final schedule wrap of the film. "Big thanks to the team! Wouldn't be possible without you guys. The shoot ends but the journey continues," Emraan Hashmi's post read. Emraan Hashmi shared another photo on social media featuring himself with the film's producer Atul Kasbekar. "Good fun teaming up with these guys. Shoot Cheat India ends it's 37 day shoot schedule," wrote Emraan. Cheat India went on floors in July. Earlier, the makers of Cheat India had unveiled the first poster of the film and also announced the release date. Emraan, who will play the lead role in the film did not feature on the poster. 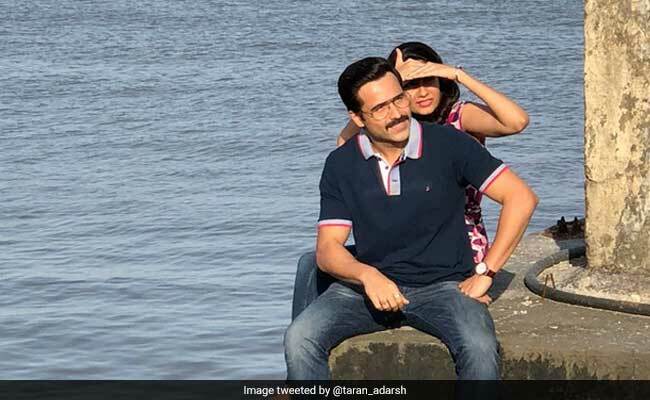 Bollywood trade analyst Taran Adarsh shared a sneak peek from the sets of Cheat India recently, where Emraan Hashmi can be seen with co-star Shreya Dhanwanthary. "Speeding towards finish line... All set for Republic Day weekend. Emraan Hashmi and Shreya Dhanwanthary captured on Sunday, shooting for Cheat India at a South Mumbai club. January 25 2019 release," Taran Adarsh tweeted. Cheat India is directed by Soumik Sen, who has earlier helmed Gulab Gang, featuring Madhuri Dixit and Juhi Chawla. Speaking about his film, director Soumik Sen had earlier told news agency IANS: "This film is for every Indian student who is under pressure to excel in a competitive environment. Today's youth will hugely relate to Cheat India." Speaking about the film, Emraan Hashmi in an interview to IANS said: "The script and title of Cheat India are supremely powerful. This is among the most engaging and riveting stories I've read in a while and I am thrilled to be essaying what I believe will be a landmark role in my filmography."